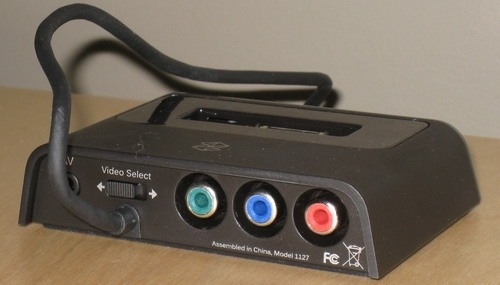 This is just a little teaser since I don't think I've seen it mentioned anywhere else: the new Zune cradle (which is sold separately) has component out in addition to the standard RCA outputs. I'm not convinced the component out it's going to make a significant difference given the input quality restrictions of the Zune (resolution and bit rate), but it's great to see the Zune being competitive with other media players out there on the market. Look for me to talk about this component out in my review of the new Zune A/V Pack v2 [affiliate], provided to me by the Zune team.